Cpl. 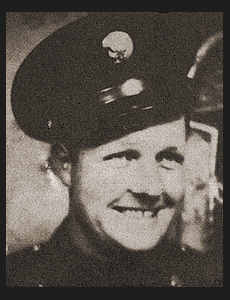 Floyd A. Johnson, son of Mrs. Laura Halbrook, graduated from Weaver No. 13 School. Entered Air Corps in Feb., 1942, trained in McCord Field, Wash, and Santa Ana, Cal. ; served in England, France, Belgium, Holland, Luxembourg, Germany and Czechoslovakia; was discharged in Oct, 1945. Awarded Good Conduct Medal, ETO Ribbon with five Battle Stars, Pres. Unit Citation.